Administrative Law Judge (ALJ) James R. Goff, Office of Administrative Hearings (OAH), Special Education Division, State of California, heard this matter on October 25 and 26 and November 17 and 27, 2006, in Tustin, California. Michael S. Cochrane, Esq., of the Law Offices of Michael S. Cochrane, represented Student at the hearing. Student’s father attended the hearing. Jennifer Brown, Esq., of the law firm of Rutan & Tucker, LLP, represented Tustin Unified School District (District). Also present at the hearing on behalf of the District was Dr. Lori Stillings, Associate Superintendent. On June 30, 2006, Student filed his request for a due process hearing. A second amended complaint was filed on August 29, 2006. This is the operative pleading. The due process hearing commenced on October 25, 2006, and proceeded through October 26, 2006, when it was necessary to continue the last day of hearing to November 17, 2006. The hearing was continued to November 27, 2006, in order to receive Exhibits 11 and 13. Upon the conclusion of testimony and receipt of all exhibits, the parties agreed that final written arguments would be filed no later than December 11, 2006. The matter was submitted for decision on December 11, 2006. 1. Did the District deny Student a free and appropriate public education (FAPE) through the following procedural violations of the Individuals with Disabilities in Education Act (IDEA) and related state law? A. The failure to consider whether Student required an extended school year (ESY) at his annual individual education plan (IEP) meeting in November 2005, which denied Student’s parents an opportunity to use the hearing process to resolve disputes regarding ESY services until after the ESY had ended? B. The failure to comply with the requirement of prior written notice in its rejection of the recommendations of Vincent Redmond, Student’s Applied Behavioral Analysis (ABA) supervisor, for 200 hours of service for School ESY 2006. C. The failure to offer a single specific placement at the May 2, 2006 IEP. D. The failure to provide prior written notice for the elimination of Student’s goals and objectives from the November 2005 IEP, and the replacement with a single annual goal at the May 2, 2006 IEP. E. The failure to provide in the May 2, 2006 IEP, goals and objectives to meet Student’s needs. F. The failure to provide prior written notice of Student’s placement in a mixed second/third grade classroom for the 2006-2007 school year. A. The District failed to provide Student with 200 hours of ABA therapy during the 2006 ESY. B. The District failed to offer Student ABA services for 52 weeks a year during the 2005-2006 school year based on a contract and not based on Student’s needs. C. The District failed to offer Student an appropriate setting for ABA services during ESY 2006. D. The District failed to provide Student with transportation to access his speech and language therapy services for ESY 2006. Student contends that the District violated Education Code section 56345, subdivision (b)(3), when it failed to include the terms of its proposed ESY for Student in the November 10, 2005 IEP. The District responds that the issue was precluded by the April 24, 2006 settlement agreement. District further indicates that Education Code section 56345, subdivision (b)(3), does not compel the District to provide the details of a proposed ESY plan at any particular time. It provided the details of the plan at the May 2, 2006 IEP. Student also contends that the District denied him FAPE in the May 2, 2006 IEP by failing to provide prior written notice that the District rejected the Center for Autism and Related Disorders (CARD) recommendation for ABA therapy for the 2005-2006 ESY. He points to the necessary criteria for a prior written notice and contends there is an absence of those criteria in any written document formulated by the District in regard to the May 2, 2006 IEP. The District counters that either there was no requirement for prior written notice with regard to the May 2, 2006 IEP, or that the IEP document satisfied the requirement. Again Student applies the criteria for written notice and contends the District failed to provide a single specific offer of placement. He asserts that the District’s conduct infringed upon his parents’ participation in Student’s IEP and effectively caused a loss of educational benefit for Student. The District’s response is that its offer was a single specific placement. Even if there were flaws in the IEP, they do not render the IEP invalid. Parents participated in the IEP process and Student has not suffered any loss in educational benefit from any of the flaws. Another procedural violation alleged by Student was that the District failed to include the goals from the November 10, 2005 IEP, in the May 2, 2006 IEP. District argues that Student misunderstands the process when he asserts that Student’s goals for November 10, 2005, were not included in the May 2, 2006 triennial IEP. The IEP specifically noted that an additional goal was added for Student in the May 2, 2006 IEP. Next, Student contends that the replacement of the November 10, 2005 IEP goals and objectives with a single new goal was not designed to provide for Student’s needs. Again, the District responds that Student mischaracterized what occurred. A new goal was added and none of the earlier goals were eliminated. Finally, Student contends that the District provided a substantively inappropriate IEP on May 2, 2006. He points to the absence of an appropriate venue for the ESY services, that the proposed ESY contained insufficient ABA services, that the evidence shows that CARD’s recommendation was not refuted, and that he was denied FAPE because the District failed to provide transportation to and from his speech and language therapy (S/L). In response the District notes that Student failed to demonstrate that he needed 80 more hours of ABA therapy during ESY, that the District’s ESY plan provided for sufficient hours of ABA therapy to avoid significant regression, and that Student suffered no regression at the beginning of the 2006-2007 school year. As to Student’s contention that he needed a summer camp environment for ESY, the District responds that its plan provided an appropriate environment with flexibility to meet Student’s needs. Finally, the District’s position with regard to transportation is that parent requested reimbursement and that was agreed to until a new S/L service provider was found. 1. Student is a nine-year-old boy, who attends third grade at Peters Canyon Elementary School. Since May 2003, Student has lived with his parents within District. In April 2000, Student qualified for special education services under the primary handicapping condition of autism. 2. As discussed below in Legal Conclusion 7, a school district is not under a specific time constraint to provide a proposal for ESY services. 3. An IEP meeting for Student was convened on November 10, 2005. At the meeting, the IEP team agreed that Student qualified for ESY. A specific description of the nature and extent of the services to be provided to Student during the ESY was put off until near the end of the school year. Parents did not agree to the IEP at the time. Subsequently, the parties filed due process requests regarding the IEP. 4. On April 24, 2006, the parties entered into a settlement agreement. Among the terms of the agreement was that the parties agreed that the November 10, 2005 IEP would be implemented and that an IEP meeting would be conducted to delineate what was to be provided to Student in the ESY for summer 2006. 5. An IEP meeting was held on May 2, 2006, at which time a specific ESY program was accepted by the IEP team. The Student’s parents did not agree to this IEP. Student filed the pending due process complaint. 6. Student has failed to establish that District acted unreasonably in formulating and presenting the ESY proposal for 2006. In the April 24, 2006 settlement with the District, Student agreed that the ESY services would be delineated at the May 2, 2006 IEP meeting. 7. Legal Conclusion 6, below provides that a school district is obligated to provide a student’s parents prior written notice when it proposes to alter the student’s educational placement. A change in placement can occur if the adjustment in services is likely to affect in some significant way the student’s learning experience. Prior written notice can be the IEP document itself. 8. At the May 2, 2006 IEP meeting, Vincent Redmond, Jr., a Senior Supervisor with CARD, recommended that Student receive 200 hours of ABA services during the 2006 summer.1 In his opinion Student needed this amount of therapy to maintain his emerging skills and to avoid the possibility of regression over the summer. Mr. Redmond agreed that Student did not need a school environment for the ESY. Student was performing at above grade level in his academic endeavors. At the due process hearing, Mr. Redmond explained that his recommendation was based on CARD’s standard recommendation that students in its program receive 52 weeks of ABA services. A school ESY typically runs for four weeks in summer shortly after the normal school year ends. Mr. Redmond’s proposal would cover the entire summer. 9. Dr. Lori Stillings is the associate superintendent for the District, and is the director of the Special Education Local Planning Agency (SELPA). She has had extensive experience in providing for the education of autistic students. In her background, she spent eight years as a special education teacher. Dr. Stillings was familiar with Student; she had reviewed Student’s records, his triennial assessments, and the records from his prior school district. Dr. Stillings attended several of Student’s prior IEPs, before she became the Associate Superintendent at the District. Dr. Stillings had observed Student in the classroom. She met Student after one of Student’s IEPs. 10. At the May 2, 2006 IEP for Student, Dr. Stillings attended at the request of Student’s father, who insisted that he would not participate unless Dr. Stillings was present. At the meeting, Dr. Stillings was surprised by Mr. Redmond’s recommendation for 200 hours of ABA service for Student during the summer of 2006. She understood that Student was nearing completion of his ABA treatment from CARD, which was scaling back on the number of hours of ABA therapy that Student required. 1 Student had been receiving CARD services since the first grade. Under contract with the District, CARD provided Student with 48 weeks of ABA services for the 2005-2006 school year. 2 The psychoeducational testing showed that Student was functioning within the average range of overall intellectual development. His nonverbal skills are significantly more developed than his language related skills (SS 121 vs. 104). Academically, the Woodcock-Johnson, Third Edition (WJIII) testing showed that Student was performing within or above his age and grade level of expectancy in most academic areas with the exception of listening comprehension. Parents had not returned information requested in the areas of the autism rating scale, behavior rating scale, and adaptive behavior rating scales. The speech and language therapist indicated that Student was within the average range in semantics, except receptive vocabulary. In syntax/morphology, he was in the average range, except for recalling sentences subtest. The therapist felt this was the result of poor attention and impaired auditory processing as opposed to a deficit in syntax or morphology. In articulation, Student produced all speech sounds correctly. However, at times he omitted final consonant sounds. Pragmatics based on the teacher’s input was below age expectancy. Again, Student’s parents did not return the home profile. In social cognition, the Student’s skills were inconsistent. In auditory processing, the Student’s scores were in the borderline range. The therapist recommended adding another goal in this area to the previously established goals. 3 Lisa B. Hull Rae is Student’s speech and language pathologist. She recommended that Student have small group speech and language sessions for part of his treatment. She was unable to provide the small group therapy. Student’s parent and the District were endeavoring to find a new speech and language provider that could hold small group sessions. It was agreed that Ms. Hull Rae would continue to provide the single sessions until a new provider could be located. 4 Student raised another issue for the first time in his written argument. Student contends that failing to identify CARD as the ABA service provider and setting forth the provider’s qualifications in the May 2, 2006 IEP for the 2006-2007 school year was a procedural violation. In accordance with Legal Conclusion 2, that issue will not be considered. 11. The May 2, 2006 IEP was Student’s triennial assessment to determine if he still required special education services. His annual IEP was due in November 2006. The assessments indicated that Student still qualified for special education in the category of autism. After review and discussion of Student’s triennial assessments,2 Dr. Stillings recommended that Student be provided with 120 hours of ABA therapy to be exercised by CARD and parents as they deemed appropriate. She further recommended 16 hours of speech and language therapy to be provided between June 20, 2006 and August 25, 2006. The one hour sessions were to be divided into eight hours of individual sessions and eight hours of small group therapy.3 The areas to be addressed were social skills, pragmatics, auditory processing, and receptive language skills. Student’s father did not ask Dr. Stillings any questions in regard to her recommendation of 120 hours of ABA therapy. 12. The District’s IEP team members agreed to the recommendation from Dr. Stillings for ESY for 2006. Mr. Redmond and Student’s parents did not agree. 13. District had no obligation to provide prior written notice, other than the IEP document itself that it did not agree with Mr. Redmond’s recommendation for 200 hours of ABA treatment for summer 2006. 14. A prior written notice of a change of placement must be a single specific offer. Again this is discussed in more detail in Legal Conclusion 6. 15. The May 2, 2006 IEP noted that “District is offering a total of 120 hours of ABA services to be provided by NPA during summer ESY.” It then provided for supervision and clinic times to be provided to Student. Additionally, it provided for parent reimbursement for transporting Student to speech and language therapy, until a new provider could be found. At the meeting, Dr. Stillings indicated that CARD would provide the ABA services at CARD’s and the parents’ discretion during the summer. Use of the services was not confined to the ESY. 16. The offer provided by the District is a single specific offer in compliance with the law. 17. 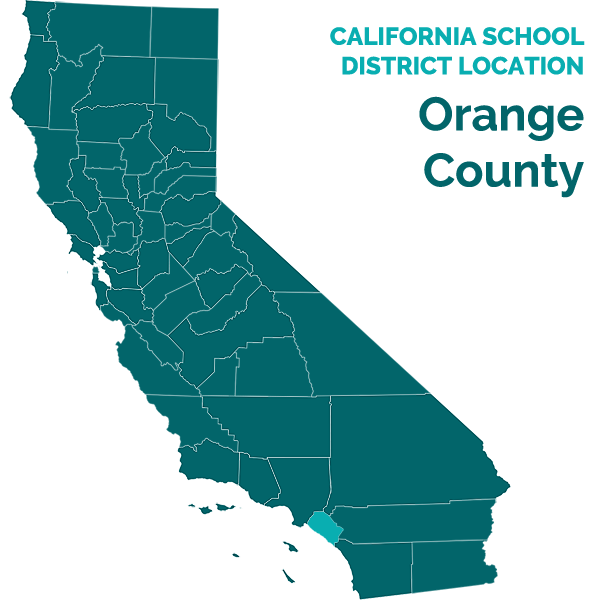 As indicated in Factual Finding 7 and Legal Conclusion 6, the District has an obligation to provide written prior notice to the parents of a student when it proposes to change his educational placement including services. 18. At the May 2, 2006 IEP, an additional goal was added to Student’s IEP, at the recommendation of the speech and language therapist. 19. The District did not propose to eliminate the goals for Student that were established at the November 10, 2005 IEP, when they met pursuant to the settlement agreement on May 2, 2006, to discuss a proposal for ESY services for Student for 2006. The triennial assessment that was conducted on May 2, 2006, did not replace the annual goals set on November 10, 2005, at Student’s annual IEP meeting. 20. Legal Conclusion 1 indicates that a school district providing special education to a student has an obligation to prepare an IEP for that student. The IEP is required to contain measurable annual goals including academic and functional goals designed in part to provide for the educational needs of the student. 21. As indicated in Factual Finding 18, the May 2, 2006 IEP merely added one new goal to those previously established at the November 10, 2005 IEP. 22. Student failed to establish that the goals for Student contained in the annual November 10, 2005 IEP were abandoned at the triennial assessment on May 2, 2006. District provided an appropriate IEP when it added to Student’s goals. 23. As noted in Factual Finding 7 and Legal Conclusion 6, a District has the responsibility of providing prior written notice to a student’s parents when it proposes to change his placement. It is not responsible for providing written notice of minor discretionary actions by the District. 24. For the 2006-2007 school year, Student was placed in Ms. Cameron’s second-third grade combination class for third grade. Ms. Cameron has been teaching for 25 years. She has a master’s degree and teaching credential in reading. The decision on placement is made by the teachers from the prior year. The teachers attempt to create a balance between students. They attempt to blend high academic second graders with grade level third graders. 25. At the due process hearing Student’s father agreed with the placement in Ms. Cameron’s second-third grade combination class. 26. The District bears no responsibility to provide a written prior notice of a class assignment. Student essentially withdrew the issue. 27. Even if one of the contentions above constituted a procedural violation of IDEA, the evidence established that it would have been harmless. There was no evidence that Student’s parents were prevented from participating in Student’s IEP meetings. Parents were active participants. While Student’s father did not ask questions regarding the 120 hours recommendation, he made his concerns known to the IEP team with extensive comments during the taped IEP meeting, which was admitted as an exhibit. Father requested and received copies of protocols and requested reimbursement for taking Student to and from speech and language therapy in Lake Forest. Student has failed to establish that Student suffered a loss of educational benefit or that his parents were prevented from participating in his IEP. 28 Legal Conclusions 1, 4 and 5, discuss the provision of FAPE. A school district must provide FAPE to each disabled child. FAPE consists of educational instruction specially designed to meet the unique needs of the handicapped child, supported by such services as are necessary to permit the child to benefit from the instruction. 29. As indicated in Factual Finding 8, Mr. Redmond had recommended at the May 2, 2006 IEP, that Student receive 200 hours of ABA therapy during the summer of 2006. Mr. Redmond, as the supervisor of Student’s ABA therapy, received reports from the CARD aides who worked with Student. The reports related how Student was performing in relation to the program that CARD provided for ABA therapy. Mr. Redmond personally saw Student two to three times a month either at a clinic meeting or through observation. Sometimes Mr. Redmond missed a month of any contact with Student. 30. The recommendation for 200 hours of ABA therapy for Student was based on CARD’s program of 52 weeks a year of therapy. ABA therapy depends on consistency in application for its success in dealing with autism. 31. For the 2005-2006 school year, CARD had contracted with District to provide 48 weeks of ABA therapy at home and in school for Student. 32. Mr. Redmond agreed that Student’s above grade level academic performance meant that Student did not need a classroom environment for his ESY 2006 program, but he felt that if Student only received 120 hours of therapy at home for ESY 2006, there was a possibility that Student might regress in the skills he was developing at the end of 2006. Mr. Redmond agreed with Student’s father that a camp environment would be an appropriate place for part of the ABA therapy during ESY 2006. Father had provided a camp for Student that included academic components. 33. Dr. Stillings stated that by providing a lump sum of hours for ESY 2006, CARD would have the flexibility to be able to maintain Student’s skills during the summer. In her opinion, the 120 hour recommendation would be sufficient to avoid any significant regression that Student might experience over the summer. She made her proposal for the 2006 ESY, after hearing reports on Student’s assessments as discussed in Factual Findings 10 and 11. 34. Kimya Alavi (formerly Azizi) was Student’s second grade teacher at Peters Canyon Elementary School. She attended the May 2, 2006 IEP meeting and, when asked, indicated that Student was performing at above grade level in most areas and did not need an academic setting for the 2006 ESY. At the due process hearing, Ms. Alavi indicated that Student was a scholar in her second grade class. In his testing he scored at grade level in all areas except writing, but achieved that level by the end of the term. He was above grade level in math. Ms. Alavi missed the first few months of the school year, but Student handled the transition to a long term substitute and back to her as his teacher in second grade without difficulty. Ms. Alavi felt she was more familiar with Student than Mr. Redmond since she dealt with Student every day. 35. Ms. Cameron, who was Student’s second-third grade teacher, indicated that Student had a weakness in socialization when he entered her class but that he was making progress. She indicated that Student particularly enjoyed making oral presentations in class. He was at grade level when he entered her class and he was on target to meet standards for third grade. Student’s weakness in socialization skills was not affecting his educational development. Mr. Redmond mentioned to her that he felt the combination class was a good fit for Student. 36. Rosa Patterson is an autism specialist with the District. Her background included five years at the Lovass Institute at UCLA, where she developed exams, graded the exams and taught classes for Dr. Lovass. She had previously worked at a Regional Center where she treated children from birth to three years of age. The CARD program was developed based on the Lovass Institute and its programs of ABA therapy. Ms. Patterson was familiar with Student. She had attended a clinic meeting for Student with CARD. She had attended two IEP meetings for Student. She had observed Student at a preschool placement for Student. She reviewed CARD’s records concerning Student. Ms. Patterson believed that Dr. Lori Stillings had a better understanding of autism than did Mr. Redmond. 37. Ms. Patterson opined that from reviewing CARD’s records of Student’s progress, he appeared near the end of the CARD program. He was performing very well. She was concerned about the inconsistency in the reporting that CARD demonstrated regarding Student’s ABA therapy. She noted that CARD was spending most of its time in the home. Their reports reflected that Student was not tracked at school that much. Student’s records did not reflect signs of regression in periods when one might expect to see some regression. In the instance where Ms. Alavi missed school in the second grade, CARD’s reports reflected that Student reacquired his skills within two weeks. She did not see in the CARD records any sign that Student had lost any educational benefit from periods when he was not at school. In her opinion, Student did not require a camp environment for ESY 2006 for his ABA therapy. She explained that in home ABA therapy did not mean that it was provided strictly in the home, but applied to extensions of the home such as the mall, a park or the library. In her opinion, ABA therapy should be developed in the home and then generalized. Her experience was that CARD invariably recommended a 52-week program of ABA therapy. 38. Student has failed to establish that he was denied FAPE, as a consequence of the District’s rejection of the recommended 200 hours of ABA therapy the summer of 2006. No evidence was presented that Student would suffer significant regression during the summer without the 200 hours of ABA therapy, or that he could not recover from any regression in a relatively short period of time. There is no evidence that Student lost any educational benefit from the 120 hours approved by the District. Similarly, Student has failed to establish that there were any significant skill losses to be expected in the reduction of hours from 200 to 120 that were of such degree and duration so as seriously to impede progress toward his educational goals. 39. As indicated in Factual Finding 28, it is the District’s obligation to provide Student with FAPE. 40. As indicated in Factual Findings 30 through 37, there is evidence that the District provided FAPE to Student. There is no evidence that Student was denied an educational benefit as a result of the 48-week plan adopted by the District. 41. As indicated in Factual Finding 28 and 39, it is the District’s obligation to provide Student with FAPE. 42. Mr. Redmond’s testimony that a camp was a recommended location for Student’s ESY for 2006, does not appear to be objective and was not credited. Mr. Redmond is not a professional educator. He works at a for-profit business of providing ABA services. His testimony followed the father’s election to pay for the camp where apparently ABA services were provided. Unless Mr. Redmond’s testimony was persuasive, he would have to collect for these services from the father. Additionally, reliance upon professional educators is not misplaced. 43. As indicated in Factual Findings 30 through 37 and 42, there is no evidence that a camp setting was required to provide Student FAPE during the 2006 ESY. Ms. Patterson indicated that CARD services could have been implemented through the home program to meet any of Student’s needs. The educational component of the Student’s ESY plan was not productive even according to Mr. Redmond from CARD. The District did not deny Student FAPE when it did not provide for him to go to camp. 44. As indicated in Factual Finding 28, 39 and 41, it is the District’s obligation to provide Student with FAPE. Transportation, as may be required to assist a child with a disability to benefit from special education, is a related service encompassed within the requirements of FAPE. 45. As indicated in Factual Finding 15, the District agreed to provide Student’s father with reimbursement for the cost of transporting Student to his speech and language therapy, until a new provider could be found. In Factual Finding 27, the Student’s father specifically asked for reimbursement as a means of obtaining transportation at the May 2, 2006 IEP meeting. 46. Student obtained the form of transportation that he asked for and the District agreed. The District did not deny Student FAPE in regard to the transportation issue. 1. IDEA, the federal Individuals with Disabilities Education Act (20 U.S.C. § 1400 et seq.) and the concomitant California special education programs (Ed. Code, § 56000 et seq.) were enacted to make public education available to children with disabilities and other exceptional needs. Under IDEA, a state school district must provide a free and appropriate public education to each disabled child. (20 U.S.C. § 1412(1).) FAPE consists of educational instruction specially designed to meet the unique needs of the handicapped child, supported by such services as are necessary to permit the child to benefit from the instruction. (Hendrick Hudson Central School District v. Rowley (1982) 458 U.S. 176, 188-189 [73 L.Ed.2d 690, 102 S.Ct. 3034] (Rowley ).) The instruction and services must comport with an individually tailored IEP, which must be developed under strict statutorily based procedures. (See 20 U.S.C. § 1401(11).) The IEP is a written document detailing the student’s current educational level, a statement of measurable annual goals, including both academic and functional goals of the education plan. (Ed. Code, § 56345, subd. (a)(2); 34 C.F.R. § 300.320 (a)(2)(i) .) Participants on the IEP team are expected to be knowledgeable as to the student’s disability and educational history. (Shapiro v. Paradise Valley Unified School District No. 69 (9th Cir. 2003) 317 F.3d 1072, 1076, 1078.) The IEP team is required to meet at least annually to review student’s progress and the plan. (Ed. Code, § 56343, subd. (d).) The term of an IEP is one year. The annual IEP replaces the prior IEP. 3. Under Schaffer vs. Weast (2005) 546 U.S. 49 [126 S.Ct. 528, 163 L.Ed.2d 387], the party who filed the request for due process has the burden of persuasion at the due process hearing. Here the Student filed for a due process hearing and bears the burden of persuasion. 5. The law requires only that the IEP in place “be reasonably calculated to confer a meaningful educational benefit on the child.” (Adams v. State of Oregon (9th Cir. 1999) 195 F.3d 1141, 1149.) The Ninth Circuit has directed courts not to “judge an [IEP] in hindsight; [but] rather . . . look to the [IEP’s] goals and goal achieving methods at the time the plan was implemented and ask whether these methods were reasonably calculated to confer [the child] with a meaningful benefit.” (See Pitchford v. Salem-Keizer School District No. 24J (2001 D.Or.) 155 F. Supp.2d 1213, 1234; see also, T.R. v. Kingwood Township Board of Education (3rd Cir. 2000) 205 F.3d 572, 577.) The evidence must establish an objective indication that the child is likely to make progress. The evidence of progress or lack thereof must be viewed in light of the limitations imposed by the child’s disability. (Walczak v. Florida Union Free School District (2nd Cir. 1998) 142 F.3d 119, 130.) In looking to the substantive requirements of IDEA, it must be determined whether the proposed IEP as implemented was reasonably calculated to provide student with a meaningful educational benefit. 8. The content of ESY services are governed by the necessity to prevent skills or benefits already accrued from the prior year from facing significant jeopardy due to regression or lack of retention. (McQueen v. Colorado Springs School District No. 11 (D. Colo. 2006) 419 F.Supp.2d 1303, 1308-1310.) Additional skills training may be included in ESY when the IEP team determines that this is necessary to meet ESY skills maintenance goals. Issue 1: Did the District deny Student FAPE through a procedural violation involving t he failure to consider whether Student required an extended school year (ESY) at his annual individual education plan (IEP) meeting in November 2005, which denied Student’s parents an opportunity to use the hearing process to resolve disputes regarding ESY services until after the ESY had ended? 12. No. As discussed above in Factual Findings 2 through 6, and Legal Conclusions 3 and 7, Student cannot complain about a process that he had created through his settlement agreement with the District on April 24, 2006. Even so, ESY was considered at the November 10, 2005 IEP. Parents were able to have a due process hearing in regard to these issues and, if they were successful, would have been able to receive appropriate reimbursement or compensatory education. Issue 2: Did the District deny Student FAPE through a procedural violation involving t he failure to comply with the requirement of prior written notice in its rejection of the recommendations of Vincent Redmond, Student’s Applied Behavioral Analysis (ABA) supervisor for 200 hours of service for Extended School Year (ESY) 2006? 13. No. As discussed in Legal Conclusion 6, the District was obligated to provide prior written notice to parents when it proposed a change in placement. A change in placement can occur when related services are modified in a way that is likely to affect in some significant way the student’s learning experience. A district is not required to provide prior written notice when a district makes minor discretionary decisions with regard to a student’s curriculum or assignment of teachers or entertaining suggestions for alternatives to a proposed placement. Requiring prior written notice for every suggestion of an alternative placement or service considered at an IEP meeting would render the process unworkable. 14. Student raised in his final written argument a more appropriate focus for his argument which was the District’s proposal for specific ESY services for 2006. As discussed above in Factual Findings 7 through 13 and Legal Conclusion 2, Student did not appropriately raise the issue in his request for due process and it will not be considered. Issue 3: Did the District deny Student FAPE through a procedural violation involving t he failure to offer a single specific placement at the May 2, 2006 IEP? 15. No. As discussed in Legal Conclusion 6, the District is required to offer a single specific offer of placement in order to comply with IDEA. Based on Factual Findings 15, 27 and 33 and Legal Conclusions 3 and 6, Student failed to carry his burden of proof that the District did not provide a single specific offer of placement in regard to the ESY 2006. Even if the offer could have been more detailed, it was fully discussed at the IEP meeting and there was no danger of Student’s parents being confused by the offer. Parents were not presented with several alternatives to choose from. Furthermore, as noted in Legal Conclusion 11, a procedural violation must result in deprivation of educational benefit or a serious infringement of Student’s parents’ opportunity to participate in the IEP process for a procedural error to adversely affect an IEP. There was no risk of deprivation of an educational benefit from the variation in the ESY proposal. Parents did not raise a question regarding the offer and they otherwise actively participated in the IEP meeting. Issue 4: Did the District deny Student FAPE through a procedural violation involving the failure to provide prior written notice for the elimination of Student’s goals and objectives from the November 2005 IEP, and the replacement with a single annual goal at the May 2, 2006 IEP. 16. No. As noted in Legal Conclusion 6, the district is required to provide prior written notice of a proposal to change a student’s placement. Student has not carried his burden of persuasion; in fact, his argument rests on a misapprehension of the circumstances. Based on Factual Findings 11, 18 and 19, and Legal Conclusion 1, Student’s November 10, 2005 goals were not affected by the May 2, 2006 triennial assessment IEP. The goals established in November 2005 remain in effect until the next annual IEP on November 10, 2006. The record established that an additional goal was adopted by the IEP team at the May 2, 2006 IEP, but it did not replace the existing goals. Student has not been denied FAPE. Issue 5: Did the District deny Student FAPE through a procedural violation involving the failure to provide in the May 2, 2006 IEP, goals and objectives to meet Student’s needs. 17. No. This is identical to Issue 4, and the same answer is applicable. The IEP team added a goal for speech and language at the May 2006 IEP to the previously established November 2005 IEP goals that were still in effect. Student has not been denied FAPE. 18. No. Based on Factual Finding 25 and Legal Conclusion 6, Student’s father conceded at the hearing that this was not an issue. Further, legally the district is not required to provide prior written notice of assignment of a child to his next grade class. Issue 7: Did the District deny Student a FAPE through the failure to provide Student with 200 hours of ABA therapy during the 2006 ESY? 19. No. As discussed above in Legal Conclusions 3, 7, 8 and 9, the burden was on the Student to establish that the significant skill losses that Student would suffer when he only received 120 of the recommended 200 hours of ABA therapy during ESY 2006, were of such degree and duration so as to seriously impede progress toward his educational goals. Additionally, the student must establish that the reduction in hours will result in deprivation of educational benefit or a serious infringement of the parents’ opportunity to participate in the IEP process. In Factual Findings 28 through 38, it was established that the Student did not carry his burden of proof on any of the appropriate criteria. The ESY 2006 services had little to do with Student’s academic situation. When he returned to school for third grade, his father had provided the other 80 hours of therapy and a summer camp that included an unnecessary academic component. Student had suffered no regression. Issue 8: Did the District deny Student a FAPE through the failure to offer Student ABA services for 52 weeks a year during the 2005-2006 school year based on a contract and not based on Student’s needs? 20. No. Student has failed to establish that he was denied FAPE, because the District only offered 48 weeks of ABA therapy for the 2005-2006 school year. Student contends that the District was controlled by its contract with CARD to provide 48 weeks of therapy and did not consider Student’s needs. This contention is refuted by the facts demonstrating that Student’s needs were of particular concern to the District. Based on Factual Findings 1 through 5, 9 through 12, 15, 18, 24, 25 and 33 through 37, the evidence established that Student was progressing at school and in his ABA therapy. He was progressing in school from year to year. The District’s program which addressed Student’s needs was extremely successful. It is problematic that this issue should even be considered in light of Factual Finding 3, that parents entered into a settlement agreement that accepted the November 10, 2005 IEP, which was based on the 48-week contract with CARD. Issue 9: Did the District deny Student a FAPE through the failure to offer Student an appropriate setting for ABA services during ESY 2006? 21. No. Based on Factual Findings 37 and 42, Student failed to establish that camp was a necessary environment for him to receive ABA services during ESY 2006. Issue 10: Did the District deny Student a FAPE through the failure to provide Student with transportation to access his speech and language therapy services for ESY 2006. 22. No. As discussed in Legal Conclusion 10, a district is required to provide related services if they are necessary for a student to receive an educational benefit. Transportation, as may be required to assist a child with a disability to benefit from special education, is one of the related services that may be required to be provided. Based on Factual Findings 15 and 27, the District agreed to provide reimbursement to parents for transporting Student to speech and language therapy until a new provider could be found. This is a form of transportation. It is not the only form, but it is the one that father requested at the May 2, 2006 IEP meeting. Student has not carried his burden to establish that providing reimbursement instead of District provided transportation denied Student FAPE. Pursuant to California Education Code section 56507, subdivision (d), the hearing decision must indicate the extent to which each party has prevailed on each issue heard and decided. District prevailed on all issues presented for determination.